Ludwig Boltzmann observed that there was a peculiar relationship between "time" and thermodynamic systems i.e. Heat. He noted that there was a fundamental asymmetry within molecular heat activity, as thermodynamic systems have a "preferential direction" in that they approach thermal equilibrium as their final state. He observed that on the molecular level, molecules undergo diffusion, homogenizations and fluctuations which dampen the amplified fluctuations (invariance of the laws). These fluctuations at the molecular level of Heat activity creates a "fundamental asymmetry effect" between the "past" or the future" i.e. a molecular contradiction occurs on the molecular level, where a "reversibility" takes place in the direction of the observed state of happenings at the macroscopic level i.e. it's collective quantity (temperature or entropy) stays the same. This means that there is a reversing of the order of molecules, and this is asymmetric to the observed state which does not change (temperature). Meaning, there are processes going on in a sequential order in reverse on the molecular scale, while simultaneously, the macroscopic scale is going forward or not changing e.g. temperature stays constant. In this respect, observable phenomena appears unchanging, and this is why "time" becomes a container for events that happen within it. This is otherwise referred to as a "reversing of the order of the temporal sequence". Or, the Deleuzian hypothesis; "...Chronos is an encasement, a coiling up of relative presents". A PHOTON JUMPS BETWEEN TWO ELECTRONS. To conform to the law of conservation of energy, the photon is of course a virtual photon. Two charge-carrying elementary fermions (in this case electrons) are mediated by a force-carrying elementary boson (in this case a photon.) Therefore its path is sealed within the image, between the electrons, in accordance with classic Feynman diagrams, which we've sketched in generically to keep things simple. So crucial to existence yet so hard to visualize. In order to produce an analysis science asserts a version of reality based on what science itself can do. One measures and tests phenomena with a predetermination that reality is described by that which can be measured and tested. It is a closed and infallible circle of logic. The investment in an empirical version of reality produces an empirical analysis and this circular analysis has a positive psychological side-effect; one gets to feel a sense of certainty and control over empirical phenomena. In the Western world prior to science the dominate worldview was deism and the pope and a clerical hierarchy interpreted the universe's will to us and for us. So, science had the additional benefit of replacing a manipulative out-of-control hierarchy with a democratically accessible version of reality. With the rise of a communal investment in empiricism any individual could look at a piece of matter or at a causal relationship and determine an analysis of reality on their own, without ceremony, dues, Hail Marys, indulgences, degradations, or decrees from on high – decrees from an annoyingly closed and infallible circle of logic that had started out fine but was beginning to repress humanities insatiable will toward progress rather than supporting the exploration of it. The deeply religious, and those who benefited from the status quo, could continue to enjoy the comforts of faith in the face of the rise of science by wearing blinders to the logic of empiricism (or by simply blinding the early empiricists with hot pokers). When science arose sufficiently to dominate the discussion about reality and rationality the faithful converted their deistic cosmology from a public truth to a symbolic interrelationship that could be quietly asserted in a more private version of prayer and devotion. This dynamic of social change was essential for a new analysis to emerge as useful. Without a communal investment in empirical precepts the analysis empiricism produces would be pointless and meaningless. If matter and causal effects had continued to be interpreted as god's will we would not have enjoyed the technological and industrial progress (or the democratic social progress) which ensued as a result of the communal change of beliefs. Unfortunately, religion had long instilled in Western mankind a version of belief that was total. So, when science arose as a new description of reality it was taken on with the full force of faith, if only in order to replace the vacuum of faith left in the wake of religion's waning explanatory efficacy. Rather than just a new description, science became the new faith, the new portal of access to the universe's 'true' nature. Unfortunately, this bungling of faith, the misuse of it to cover what is merely useful description, is the intellectual/ emotional communal/historical conundrum that must now be sorted out for us to progress with a useful analysis of consciousness. An analysis of consciousness requires we separate reality assertions (faith) from the task of creating useful descriptions. An exploration of consciousness requires we validate a context in which cognitive dynamics and characteristics show up as real, just as an exploration of the physical world required we validate a context in which physical dynamics and characteristics showed up as real. And we must do this even if this entails contradicting and defying the empirical world-view and its adherents. Theirs is a closed circle of logic that deems itself infallible. Within the confines of the empirical circle of logic consciousness does not exist. The adherents of empiricism refuse (or are simply unable) to see anything beyond empiricism's limited scope of description despite the fact that they too must be in some way conscious, must be aware, must have percepts and intentions, must be having subjective experiences, must be as caught up in the vast non-physical/ unmeasurable/ un-testable webs of meanings and purposes as everyone else (for how else could they function as a living thing?). By creating and investing in a context suitable for an exploration of cognitive dynamics and characteristics we can usher forth a new phase of the human adventure that will prove as interesting and transformative as did the rise of science. I am preaching to the converted here but despite our efforts thus far we continue to fail at forming a unified approach in part because we are still caught up in reality assertions (empirical, spiritual) rather than simply proceeding with a description of cognitive phenomena in terms that are relevant to cs. studies. Much like at the dawn of science, instead of accepting what is given we are obliged to create our own circle of logic to render a new and useful analysis. That is how analyses are formed, not by taking on the whole of reality but by choosing an area of phenomena that has both social and personal significance and then exploring it on its own terms, in a way that produces answers that work within a particular scope. This is how spiritual, material, cognitive, or any other type of phenomena, come to define their own paradigm. The real fun begins once the paradigm builds momentum, but this will not happen in cs. studies if no one understands what it is we have to do, or if everyone waits around for someone else to start in, or if we get derailed by arguments about reality. Our ideas change as we change who we think we are. The Gods call us and we recall the gods. The brain is a highly creative entity, which is capable of dreaming up infinitely abstract concepts and presenting them to the world in such diverse forms as science and art, yet it is all response and creation with our inner universe. The concept of creativity, is one of these harder concepts to explain only in terms of the brain. Many would like to believe that it is the divine gift of a muse that it comes from some region far from us, and that the body is merely the vessel of its interpretation. But somewhere in the deep regions of the highly convoluted mass above the neck, there is a region from wherein stems our creativity. We contain the power in our brains to create creativity and invent gods to whom we can attribute such "gifts", all encompassed in behaviour. The concept of self too, is more all encompassing than just the brain. Self is an awareness of who we are, and what we are doing here more than just filling up space. It is a sense of higher purpose, which is hardest to explain in terms of only the brain. We want to feel part of a complete web, and to fulfil some destiny, or else forge our own. We extend this imaginative abstract, including the ego, to the body which contains us and our personal space. We have an area around and within us, which we always hold secret, but how and why is hard to explain in terms of behaviour. Why are we self contained, why are made into one being ? Generic mathematical models, such as those of general systems, dissipative structures, bifurcation, fractals, chaos, and singularity can be applied in many contexts, and can be considered high level archetypes. This means that they have considerable abstraction that spans a large rather than a small portion of space-time, and that incorporates many rather than few dimensions of existence. It follows that a truly unified theory across all realms would incorporate high-level archetypes. This might occur within the realm of physics and then be generalized, or it could come from the search for unities across disciplines. Science has its own archetypal fascinations, expressed in theories and models. There is no consensus in physics. 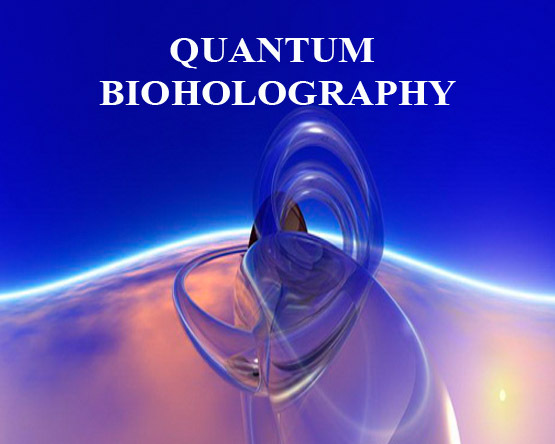 The Copenhagen Interpretation of Quantum Mechanics (QM) competes with Quantum Electrodynamics (QED), Holographic, Monistic Idealism, Transactional, Post-Quantum, Scalar, Many Worlds (MWI), Topological Geometrodynamics (TGD), String and M-Theory, among others. The secret of Reality may lie in the reconciliation of quantum cosmology, aligning micro-and macroverses. Quantum chaos plays a crucial role in cosmology as chaos theory and complexity do in biological systems. The idea of many worlds, many realities, many dreams appears already in Chinese and Indian texts. Everett cites the well know "garden of forking path" from Borges. It is an ancestral theme of humanity, which comes easily to the mind when you remember your dreams. To really know how the brain works, neuroanatomy is the best guide. Psychological descriptions got us started, but a fundamental map and understanding require a deeper biological foundation and questioning our assumed truths. We remain immersed within the interface of psyche and matter ~ that point where psyche matters. As in chaos theory, all the creative action is at the boundary of any field, the creative threshold, the leading edge. 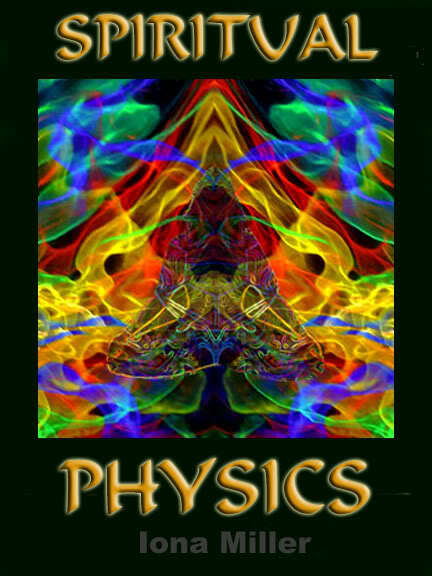 All contemporary models [Transactional (quantum handshake), Many-Worlds (decoherence), M-Theory (strings), Copenhagen (wave-function collapse), Holographic (frequency domain; resolution), Implicate (hidden information), etc], E8, and Torsion Physics (Kozyrov) are essentially philosophical, or colored by the psyche and philosophy of their originators. Imagination has to cross the boundaries of disciplines to somehow find links between the observable and unknowable. With gravity, time and spin, matter and psyche are in a constant state of redefinition. The unexplored microcosm of the Ground-state, the universe of the subquantal domain, may be the key to higher consciousness.The vacuum of Absolute Space is the central ingredient of 21st-century physics. It is the space between particles, inside and outside the atom. You breathe air that carries the vacuum between its molecules. It is technically metaphysical (nonobservable) -- beyond the realm of physics because it is virtual, rather than manifest. Paradoxically, the vacuum is both the absence of matter and the universal substance. We still don't know where consciousness fits in the big picture. There is no consensus among theories of what constitutes FIGURE and what constitutes the most fundamental GROUND, and it seems they share the same essential nature. Our perceived ‘content’ is not distinct from the ‘context’ in which it arises. It is one whole cloth of bubbling space-time. Nothing more, nor less. We have looked into the Abyss of spacetime and found it laughing back. The core task is answering "What is consciousness? ", and having that answer also fit with and support questions and developed answers (descriptions) on "What is matter?" and "What is energy?". Clearly, the task is to settle on a new common denominator that unites the other aspects and elements. coloring to the essential structure. Our desires become our talents, our thoughts become our direction, and the power of our purposeful will become our destiny. The spiritual ideal is always there, becoming clearer to us in the later stages of development. The whole universe of space and time is enfolded into each part. A fundamental order of potential energy enfolds space and time. There is hidden energy in these enfolded dimensions -- a unity of space, time and meaning potential. Scalars are time-reversed waves. 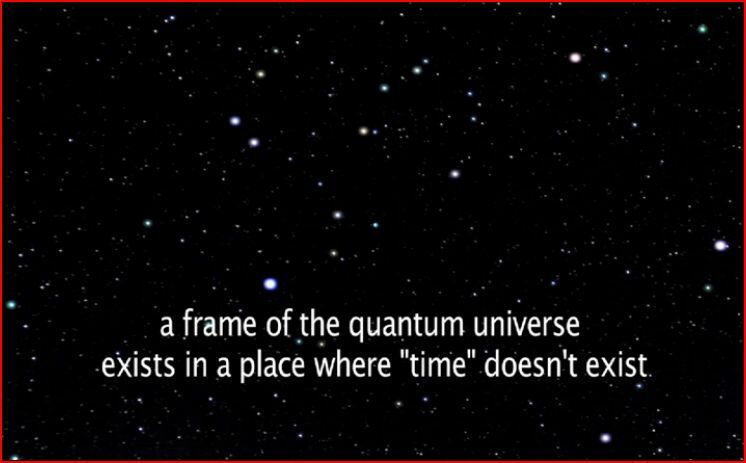 The infolded (negative) time dimension of virtual photon flux (hyperspace) is zero-point. Time in physics can be interpreted as an archetype for all material objects. You can not grab a piece of time and hold it; it is everywhere but nowhere. Materiality in the physical world eventually unfolds and enfolds at all scales. Archetypes share this holographic enfolding and unfolding nature. At least, they can be modeled as such. Archetypes play through our self-narratives, culture in art, literature, and the movies we so frequently view and in the stories we love. Our souls are attuned to listening for the multiplicity of viewpoints that comprise situations and events, bridging unconscious and consciousness. Complexes need not be pathological. They are merely collections of psychological material that function most efficiently when they are together. They usually group together because they all relate to a single archetype. People will go to war and fight to the death as fanatical "true believers" to defend some political or religious principle. The belief system is influenced by the myth behind it. Charismatic leaders capture the projections of leadership through expressing the subconscious desires of the crown, or herd consciousness (like Adolph Hitler or Jim Jones). Activation of these archetypal powers opens the door for both good and evil, and creates an arena for the emergence of ethics and morals. Jung suggests the existence of a 3-layered psyche consisting of 1) the conscious (active part of the mind), 2) the personal unconscious (thinking over which we have little or no control), and 3) the collective unconscious (unevolved, animal-instinctive mental activity). Jung sees archetypes as unconscious regulators of psychic life that attempt to redress psychic imbalances. The unconscious interacts with consciousness in a compensatory way, which leads to intrapsychic self-regulation (Jung, 1966a). Archetype-figures also appear in the personal unconscious as "complexes". Archetypes tend to personify themselves, through the cooperation of the active imagination, in order to penetrate personal consciousness. The unconscious, form-determining (archetypal) components of the personality, and the complexes of ideation and affect that form around them seem to act like inductive magnets for certain events and affects to which they correspond (Jung, 1960, 1969c). Like strange attractors in chaos theory, they are self-organizing intrapsychic principles. Normally, we project our inner states out into the world. The mystic becomes emancipated from the persuasions of psychic content, while the schizophrenic becomes lost in them. Images arise from energy flux like biochemical resonant filters and harmonic levels of arousal, elevated energetic activation. Then we find synchronous information and events in the outer world to reinforce the energetic power of the archetypes we are preoccupied with. The shamanic journey consists of acute neurological events that evoke heavens and hells that lead to emergent self-organization. Consensus reality is a conditioned trance state. To be "normal", when this violates our inner nature, is itself a form of pathology. Disruption of ego's metaprogramming (habituated dissociation) is not regression, but merely the removal of adaptive/repressive functioning in the present. This creates an entirely new consciousness that does share features with primordial states. This loss of the sense of the known self (ego) is a desirable effect of transformation processes. By differentiating from the images, symbols, myths, stories and personal identity that we were so involved in before, consciousness becomes separated from its contents. We deepen our own healing by remembering our own experience of trauma is simultaneously a microcosmic, personalized fractal reflecting the greater trauma resonating throughout the collective field. This realization allows us to not personalize the moment of feeling the trauma, or concretize ourselves as being traumatized, but allows us to give over to and embrace particularized experience. Note that all radiant electrodynamic fields, within any frequency spectrum phase order, must have a series of fractal harmonics extending throughout its entire spectral range, which also resonates with all other (higher and lower) phase order fields — and that all information is carried on such fields as modulated wave interference patterns — so that, once recorded, no information is ever lost. Since all structural information is contained in the infinite spin-momentum (singularity) source of all (harmonic) fractal involved cosmic fields, along with all particle standing waves (as well as all their formative combination's and permutations) at different frequency phase orders... And since all information is transformed from field to field by phase conjugate adaptive resonance... The entire physical universe we experience (at the fourth lowest phase order of the third fractal involution of the cosmos) — is a hologram. All such fields are also electrodynamic in nature (Ref: Maxwell, Coulomb, Faraday, Ampere equations), Consequently, all structural, memory and mental information is carried as holographically encoded wave interference patterns on the surface of such fields… And transmitted, through descending hyperspace field phase orders to their common zero-point center of consciousness, by phase conjugate adaptive resonance processes. Thus, Mind itself (in the case of human thought) is one of those hyperspace fields linked coenergetically (resonantly) with the brain’s radiant EM fields… With long term, archetypal, and species memory stored in adjacent higher order coenergetic hyperspace fields (ref: string theory). It is this Absolute SPACE that is both the creative force (conscious will) and the receptive womb (infinite spin momentum on triple perpendicular sets of infinite spherical axes) that constitutes the “cosmic eggs” out of which all subsequent universes, with their metaphysical hyperspace and physical metric space fields, fractal involve… And, after descending to the lowest order physical space (at the third fractal iteration) — subsequently evolve, simply and directly (by natural selection, possibly guided by morphogenetic fields (ref: Sheldrake) linked to fundamental consciousness along with stored memory of previous life forms)… With our cosmos being only one of those infinite “parallel” universes… With the same fundamental cyclic and electrodynamic laws, rooted in primal spin momentum, governing each of them. Therefore, since consciousness is the fundamental quality of the zero-point center of spin momentum in absolute space — each such “singularity” is potentially conscious as is every zero-point center of all fractal involved information/energy fields radiating from it, ad infinitum. It’s ALL in your mind, but not necessarily merely in your head. The universe is holisticaly contained within the mindbody and is the context of mindbody. Both physicists and mystics now tell us that there is noTHING “out there.” The Vedas said centuries ago that it’s all “mindstuff” and modern science is now confronting that. There are several types of explanation of quantum state reduction, an occasion of experience: Copenhagen (conscious observation causes collapse), multiple worlds (each possibility branches off to form a new universe), decoherence (interaction with environment contaminates superposition - though it doesn’t really cause reduction), some objective threshold for reduction (objective reduction - OR), or quantum gravity. New Agey Utopian idealism--"quantum theory is strange, consciousness is strange, therefore, consciousness is explained by quantum theory", entanglement is proof that "all points in the universe are connected by some underlying ineffable thing, so can't we all just get along", etc. Quantum theory will probably play a role in explaining consciousness and its relationship to the brain. The electrical activity of the brain makes a `model' of a self in the world and our understanding of physical reality requires this `model' to exist `in the dark'. That `model' is an intellectual abstraction and in reality it is just spatial and temporal relationships between each piece of electrical activity. Every quanta is in the form of matter waves except at state reduction. The electromagnetic fields permeating neurons and synapses consist of real and virtual photons, in their wave states, and each of these are disturbances in the photon field. Our experience of reality is based on mind and observation. Only our mental impressions, sensory filters, language categories, and concepts make us perceive things: things as separate from ourselves, the I and the not-I. But we are seamlessly welded to the Universe at the most fundamental levels. We cannot scientifically or spiritually distinguish ourselves from the subquantum ground of BEING, even if we feel separate or alienated. But who among us has successfully abandoned the tendency to conceptualize observations as things, and compound that observation with qualitative attributions? We have experiences and later we say it was this or that. Some forms of meditation are based on disidentification from all aspects of existence and nominalism Ã¢â‚¬“ neither this nor that. But most of us still can’t wrap our quantum minds around it as a steady state of perception. Though science has extended our sight to the subquantal and cosmological levels, we still think provincially from the human scale of our natural senses. Our logic and metaphors are based in the senses. But our outer life comes from the invisible inner world, where we are literally in resonance with the Cosmos. Concepts of matter, life, and mind have undergone major changes. Consciousness is not a material system and neither is Quantum Mechanics (QM). The world is quantum mechanical and we must learn to perceive it as such, but we don’t need to understand that to experience nonlocal healing, any more than we need to comprehend internal combustion to drive. Even physicists have a tough time reconciling what they know about the deep nature of reality with their mundane experience in the world of things. So how does that mind and its underlying mechanisms relate to or produce consciousness? Is consciousness a quantum process, or does it underlie all process? Neurologists tell us it is a physical matter of wetware in the skull. However, the most we can say at the molecular level is that there are correlates of consciousness. The irreducible precursors of consciousness and matter are built into the universe. They just ARE, unified holistic process. At the finest levels of observation, physicists contend the distinction between mind and matter becomes as paradoxical as the distinction between energy and matter, life and death (organic/inorganic). Quantum mechanics strongly suggests the Universe is mental. The substratum of everything, including our experience of being, has this mental character. Healing theories, particularly nonlocal models, have drawn from theories in both new physics and consciousness studies, often compounding and confounding both disciplines. They mix levels of observation in theories which seem to be largely conditioned by the favoritism of pet projects; thus each theory is generally associated with only one or two “brand” names of researchers. Healers have been quick to parrot many of these ideas that support what they feel they have observed in intentional healing acts, or what validates the tenets of their school of practice. Often their comprehension of the scientific basis of the argument is slim to none. But this attribution is used to “explain” the phenomenon, with enough misapprehension to preserve the Mystery. However, it isn’t this confusion that makes it so. Are the enigmatic qualities of the quantum realm actually the same as the unity, coherence and other enigmatic qualities of the conscious one? The jury is still out. There is no consensus among theories of what constitutes FIGURE and what constitutes the most fundamental GROUND, and it seems they share the same essential nature. Our perceived ‘content’ is not distinct from the ‘context’ in which it arises. It is one whole cloth of bubbling spcetime. Nothing more, nor less. We have looked into the Abyss of spacetime and found it laughing back. Ervin Laszlo points out regarding the finest level of observation, that because of “the quantum vacuum, the energy sea that underlies all of spacetime, it is no longer warranted to view matter as primary and space as secondary. It is to space or rather, to the cosmically extended "Dirac-sea" of the vacuum that we should grant primary reality.” Virtual particles pop in and out of existence like quantum foam. Mass is the consequence of interactions in the depth of this universal field. There is only this absolute matter-generating energy field. This realization transforms our perception of life. Living systems constantly interact with the quantum vacuum, also called zero-point energy, vacuum fluctuation, or subspace. Wave-packets of matter are in a subtle interactive dance with the underlying vacuum field, a vast network of intimate interactions, extending into our biosphere and even Cosmos. Mind and matter both evolve from the cosmic womb of space. He goes on to propose a poetic metaphor: “Everything that goes on in our mind could leave its wave- traces in the quantum vacuum, and everything could be received by those who know how to "tune in" to the subtle patterns that propagate there.” In a mechanistic throwback, he likens it to an antenna picking up signals from a transmitter that contains the experience of the entire human race, reminding strongly of Carl Jung’s Collective Unconscious. Worldviews color our perceptions of our Reality, even in science. Concepts are effective theories, useful not true. The universe is immaterial, mental and spiritual. The mind observes, but it doesn’t really observe “things”. It has a way of attributing certain qualities, subjective qualities and dynamics, to everything, even so-called “objective observation. This multisensory narrative becomes the content of our memories -- how we remember what happens. Our minds have a tendency to come up with reasons, whys and wherefores, for things as they appear to us. It is part of our survival mechanisms. However, physics has proven, through relativity theory, the uncertainty principle, wave/particle duality, and Godel’s theorem, that there can be no objectivity, no order or creativity without chaos. The mind produces narratives. Archetypal forces act as lenses that cause us to cherish certain beliefs, which lead to a class of thoughts, and patterns of emotions and behaviors. It doesn’t matter if you come down on the side of preferring order or chaos, nature has her way. Ultimately, spontaneous or natural healing seems to by-pass this entire complex system, overriding our conscious perspectives in many cases. We may not “believe” in paradoxical healing, but it can still “work”, effecting psychophysical change at a deeper level through the emotional mind and through Mystery. Healing is irrational. Perhaps the question we should really be asking is what causes us to imagine we are dissociated from a state of optimal health. This doesn’t mean our bodies will always work flawlessly. Chaos theory reveals that many systems in the body are self-organizing and regulated by stochastic processes that are naturally chaotic in nature. Chaos actually helps us reorganize, recalibrate our metabolism. We can discuss it in terms of nested structured duality, superfluids, or an array of vortices, or a microtubule bank, or a dendritic cluster, or an entangled or collapsing wave function; still, we're merely talking about resonance between arrays -- patterns. This perspective leads to consideration of a Holographic concept of reality, the frequency domain, David Bohm’s implicate order. Panpsychism aside, every bit of electrical activity is unaware of itself, is unaware of every other bit of electrical activity, and is unaware of all their relationships. This raises the question: why does consciousness exists at all and why is it a unity? There are many plausible ways that quantum theory can help with these profound mysteries and it will be many decades before some understanding of the actual mechanisms are finalized. So, despite the pluses and minuses of existing quantum theories of mind, these kinds of theories should be encouraged. If consciousness is or is related to quantum effects then scientists will have to think in these directions to figure it out. Most natural philosophers hold, and have held, that action at a distance across empty space is impossible-in other words, that matter cannot act where it is not, but only where it is. The question "where is it?" is a further question that may demand attention and require more than a superficial answer. Arguably, every atom of matter has a universal though nearly infinitesimal prevalence, and extends everywhere; since there is no definite sharp boundary or limiting periphery to the region disturbed by its existence. The lines of force of an isolated electric charge extend throughout illimitable space. No ordinary matter is capable of transmitting the undulations or tremors that we call light. The speed at which they go, the kind of undulation, and the facility with which they go through vacuum, forbid this. So clearly and universally has it been perceived that waves must be waves of something, something distinct from ordinary matter. Faraday conjectured that the same medium which is concerned in the propagation of light might also be the agent in electromagnetic phenomena, and he called it “the ether”. Now we speak of it as the zero-point domain of virtual photon fluctuation. Romantically, we refer to it as the plenum, since it is infinitely full of potential. Some philosophers have reason to suppose that mind can act directly on mind without intervening mechanism, and sometimes that has been spoken of as genuine action at a distance. But, in the first place, no proper conception or physical model can be made of such a process. Nor is it clear that space and distance have any particular meaning in the region of psychology. 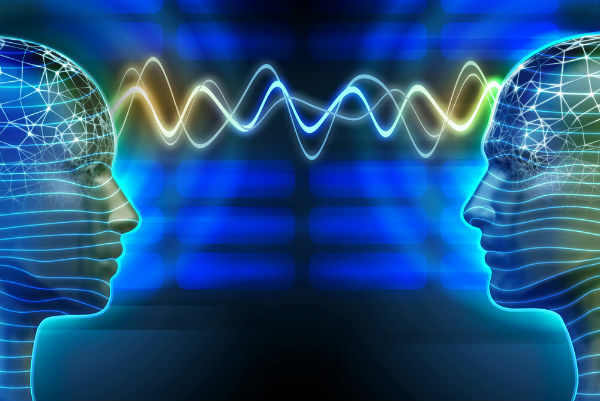 The links between mind and mind may be something quite other than physical proximity. Since we don’t know how it works, in denying action at a distance across empty space we are not telepathy or other activities of a non-physical kind. Brain disturbance or mindbody healing is certainly a physical correlate of mental action, whether of the sending or receiving variety.